Boyds, Md. (April 4, 2019) – Washington Spirit midfielder Chloe Logarzo has joined the Australian Women’s National Team in Colorado as she and the Matildas take on Spirit teammates Mallory Pugh, Rose Lavelle, Andi Sullivan and the United States this Thursday in what will be Australia’s final friendly before their World Cup group stage opener against Italy on June 9. The Matildas seem to have found their stride on the pitch in the 2019 calendar year and the timing couldn’t have been better for Ante Milicic and his squad. After taking over as manager at the beginning of the year, the Croatian frontman has led Australia to three victories in his first three matches at the helm, all coming from the 2019 Cup of Nations. 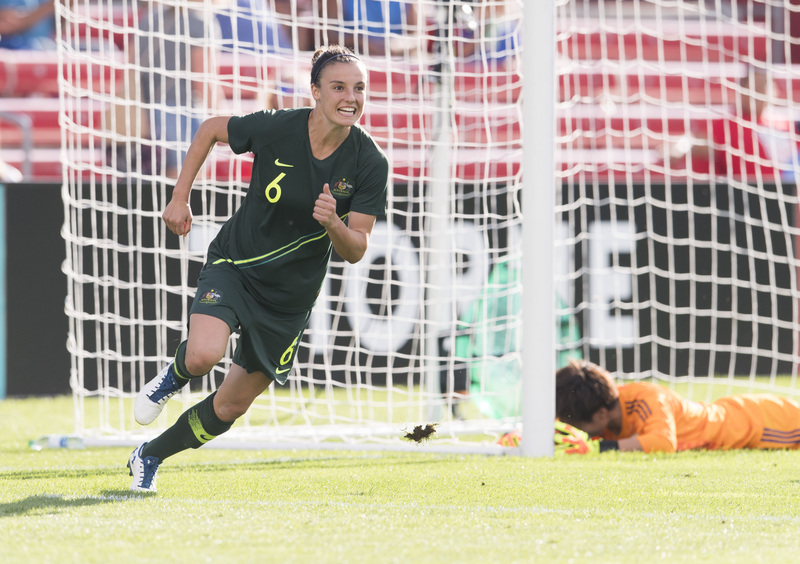 Washington Spirit defender Amy Harrison played a vital role in the Matildas’ success during the tournament, making appearances in all three matches with one start and one assist. Logarzo missed the 2019 Cup of Nations due to injury but has recently regained her fitness at a pivotal time for the Matildas. The Aussies lean on Logarzo’s international experience, more specifically her 29 career international caps and six goals. Her most recent international goal came in Australia’s most recent match against the United States, a 1-1 draw in the 2018 Tournament of Nations. The United States leads the overall series with Australia 25-1-3 and have outscored the Matildas 96-24 dating back to 1987, but the last three matches have seen the once dominant gap between the teams close, with the two nations competitively splitting the series 1-1-1. In addition, Australia was the last team to defeat the U.S. on American soil after their 1-0 victory in the 2017 Tournament of Nations. Australia has shown strength and organization at the back, as they have only conceded one goal to the offensive-powered USA in their last two meetings. Facing a formidable opponent such as the United States will be Australia’s final and biggest test before they head off to France for the 2019 FIFA Women’s World Cup. Two of the Matildas’ first three matches in 2019 have come against other World Cup participants in 14th ranked Korea Republic and 37th ranked Argentina, but despite the USA’s 2-1-2 record in 2019, facing off against FIFA’s top-ranked team will prove to be the biggest challenge the world’s No. 6 has seen this year. Coverage for the match will begin at 9 p.m. ET on FS1.